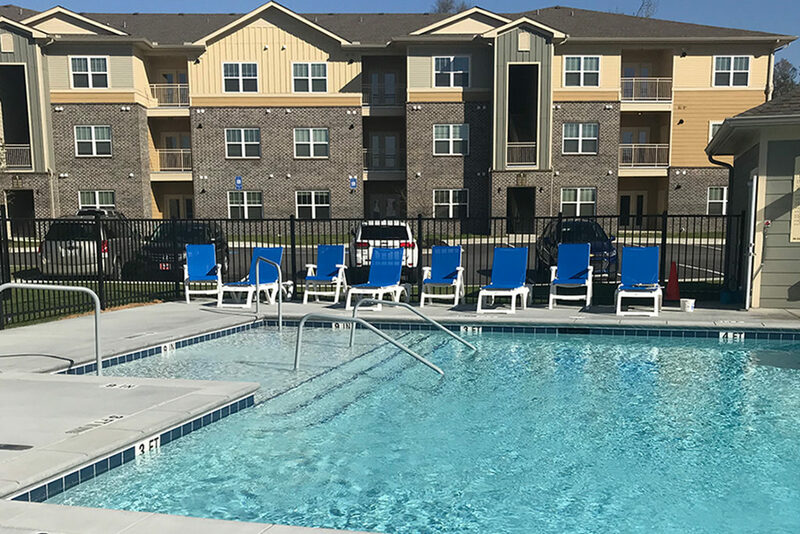 (Louisville, Kentucky—) LDG Development opened a 240-unit development that will provide more affordable housing to residents within Augusta Georgia. Peach Orchard, is LDG’s first community in Georgia and welcomed its first resident in November. Located at 3630 Peach Orchard Road, this new construction project offers 1, 2 and 3-bedroom apartment homes and is conveniently located on Peach Orchard Road directly adjacent to the East Central Regional Hospital at Gracewood and less than 3 miles from Fort Gordon Cyber-Command Center. Amenities offered at Peach Orchard will include a business center, fitness center, swimming pool, fully equipped walking trail and dog park. “We believe a project like Peach Orchard to be a catalyst for further investment in underserved South Augusta neighborhoods, giving residents better access to new housing and economic opportunities,” said Ben Hasan, District 6 Commissioner. Sammy Sais, District 4 Commissioner agrees. Financing for the project comes from a $19,000,000 multifamily bond issuance through the Georgia Department of Community Affairs with Redstone financing. Federal and State equity was purchased by Boston based Stratford Capital Group. Additional financing was also provided by Chase Bank. Units are reserved for residents making 60 percent of the area median income, or approximately $34,500 for a family of four. Yates Construction, a Mississippi based family owned construction and services firm that has done extensive work throughout the country, is oversaw construction and development while Gateway Management Group is serving as the property and is overseeing leasing. As of March 1, Peach Orchard is almost 55 percent leased and 23 percent occupied. While Peach Orchard is LDG’s first development in Georgia, Dischinger says the company is working to ensure it is not their last. LDG Development is an award winning multi-family housing developer and owner whose passion for affordable housing is evident in the gold-star quality of their apartment homes. The company has developed over 6,000 units in Kentucky, Indiana, Virginia, Kansas, Tennessee, Texas and Louisiana. LDG’s mission is to give hard working families and active seniors a community where they can thrive. The company is headquartered in Louisville, Kentucky and is motivated by the belief that everyone deserves a quality place to live.